Get ready to feast your eyes on a magically tropical and insanely bright palette from BH Cosmetics. It is called the "Take Me to Brazil" palette and it is jaw-dropping! 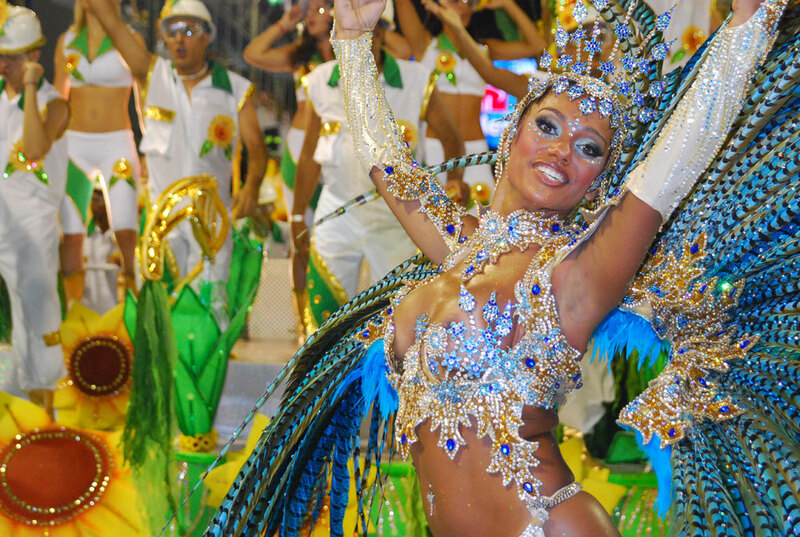 Brazil is known for their colorful culture, the Amazon, the Carnival parade, their beaches, football, nice bums, samba, tropical animals and delicious food. People visit from all over the world to get a glimpse of this remarkable country. I have never been there myself, but it has been a dream of mine for a long time, and it will happen one day! So put on your dancing shoes, and get ready to samba your way into the Take Me to Brazil palette! Brazil is considered to have the largest collection of beautiful and unusual flowers. Scientists have estimated that there may be up to four million species of plants and animals in Brazil. Brazil has one of the New 7 Wonders of the World, the Christ Redeemer statue, located in Rio De Janeiro. 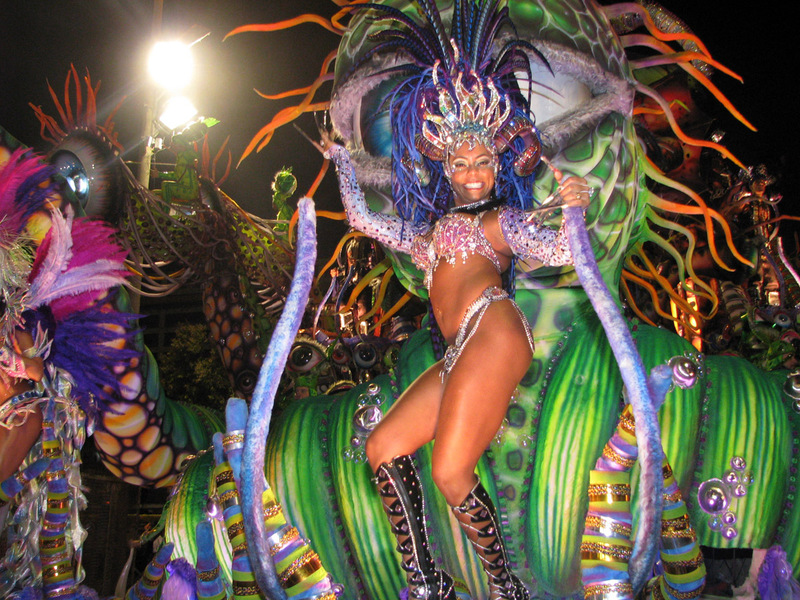 Carnival in Brazil is the most popular festival. Carnival falls on a different date every year, about 40 days before Easter. Thousands of visitors from all over the world come to Brazil to enjoy this sensation carnival. Brazil has won 5 World Cups, more than any other nation. If you read my BH Cosmetics California Palette mini series posts, then you already know how spectacular these eyeshadows are. This palette is no different. In order to not be repetitive and not make this post unnecessarily long, you can read my reviews of the other BH Cosmetics palettes here, here and here. If you're too lazy to read through those, I will give you a quick run down. BH is known for their affordable, and brightly pigmented makeup. These are so bright, you almost need to wear sunglasses. A little goes a long way, and they perform exceptionally well with a quality primer. The packaging and art work of the Brazil palette are stunning and capture the spirit of Brazil perfectly! It's made out of durable cardboard and has a nice sized mirror on the inside. You get a total of 30 eyeshadows that are of every color on the spectrum in a variety of finishes. You get matte, shimmery, satin, glittery, and duo-chrome. I also like that they put some thought into this palette and gives you larger pans of the two colors that get used most often, black and white. This palette is perfect for the color obsessed! Just check out the swatches! These were all swatched over Lime Crime's Eyeshadow Helper. I really hope you guys enjoyed this super bright and tropical look! I definitely felt festive wearing this, and I was so sad to wash it off, haha. If you are interested in this palette, it is currently available for $10.50 USD over at www.bhcosmetics.com, which is a steal if you ask me. That's like paying 35 cents per eyeshadow! I mean, come on now! I would also like to dedicate this look to all of my amazingly wonderful Brazilian fans! You guys are awesome. oh my god those colors are out of this world! i need this! Just curious if they are cruelty free? wow that's so vivid! I think I may need to pick it up. I don't have any nicely pigmented yellows or greens, or orange and red. 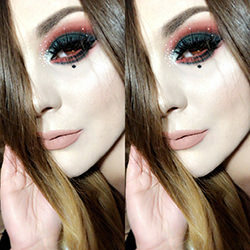 Great, colorful look you did with them! Oh my gosh!! Talk about excellent pigmentation!! I have to get this product. Your makeup look is stunning!! I'm Brazilian and of course I loved your makeup!!!!! Wow!! Amazing :). Besiños from Spain. Omfg I NEEEEED this palette in my life! AHHHH!!!! Crazy beautiful! Literally one of the most beautiful palettes I've ever seen. This palette is amazing. 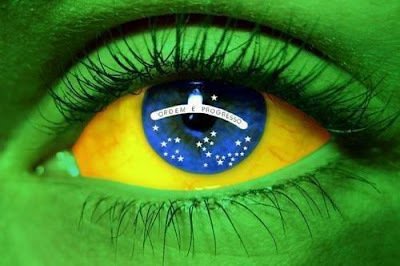 I'd love to go to Brazil.